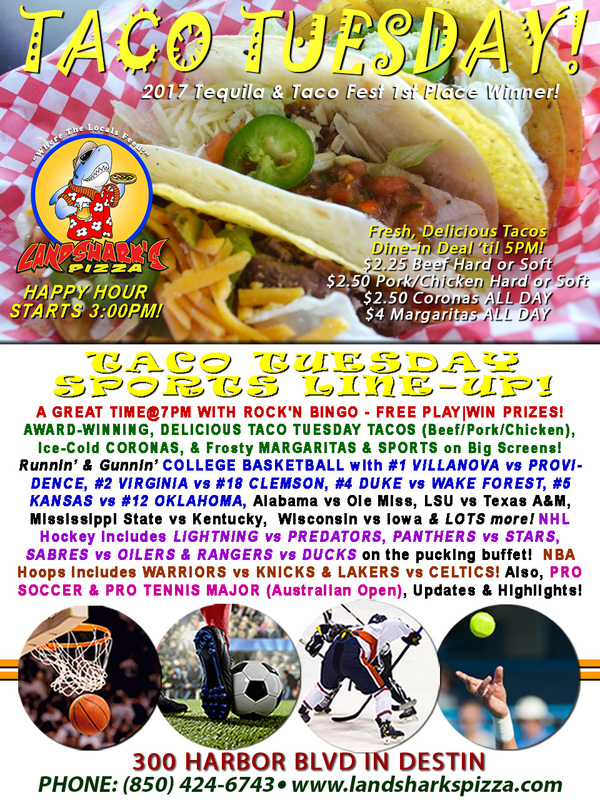 / Best Taco in Destin FL / Top-Ranked COLLEGE HOOPS #1 VILLANOVA|#2 VIRGINIA|#5 KANSAS& MORE|Taco, Margarita, & Corona Specials & ROCK’N BINGO 7PM! 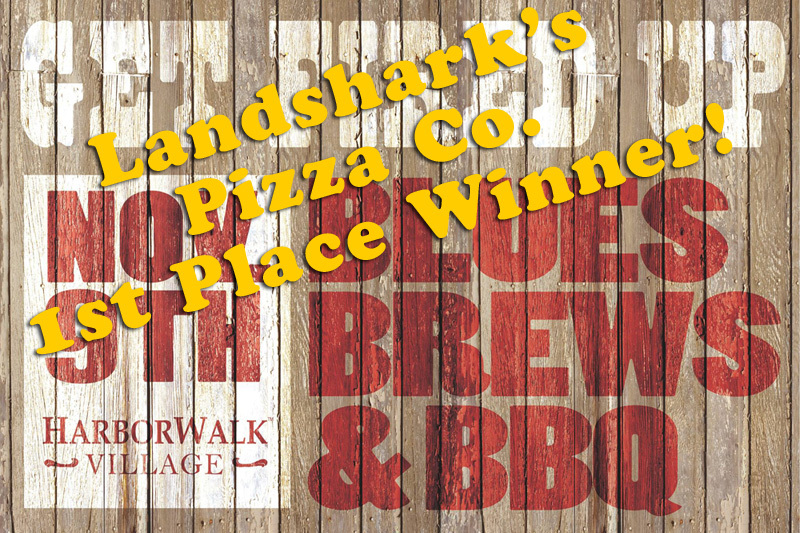 Top-Ranked COLLEGE HOOPS #1 VILLANOVA|#2 VIRGINIA|#5 KANSAS& MORE|Taco, Margarita, & Corona Specials & ROCK’N BINGO 7PM! 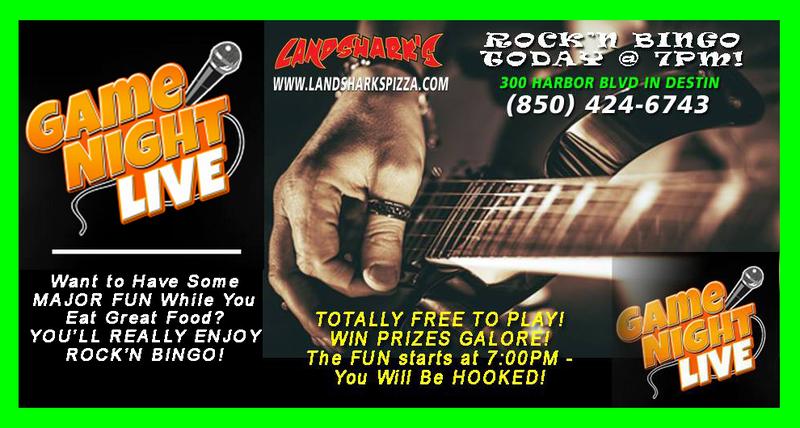 In Destin we start the weekend on Tuesdays with ROCK’N BINGO at Landshark’s Pizza! 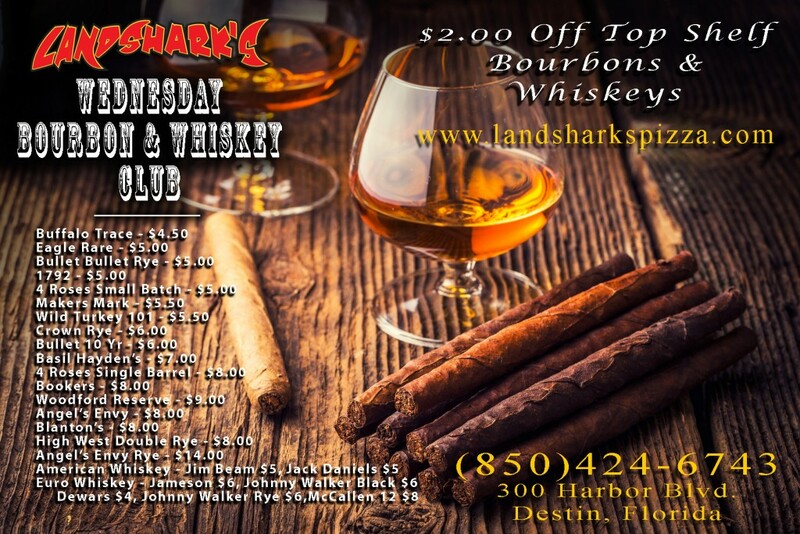 Get HYPED with TACO TUESDAY here at Landshark’s Pizza highlighted by ROCK’N BINGO, NCAA Basketball, NHL, NBA & other sports action here at Landshark’s, your sports fest Taco Tuesday headquarters with Taco & Drink specials! FUNKY COLD MEDINA-LEVEL FUN@7:00PM playing ROCK’N BINGO! 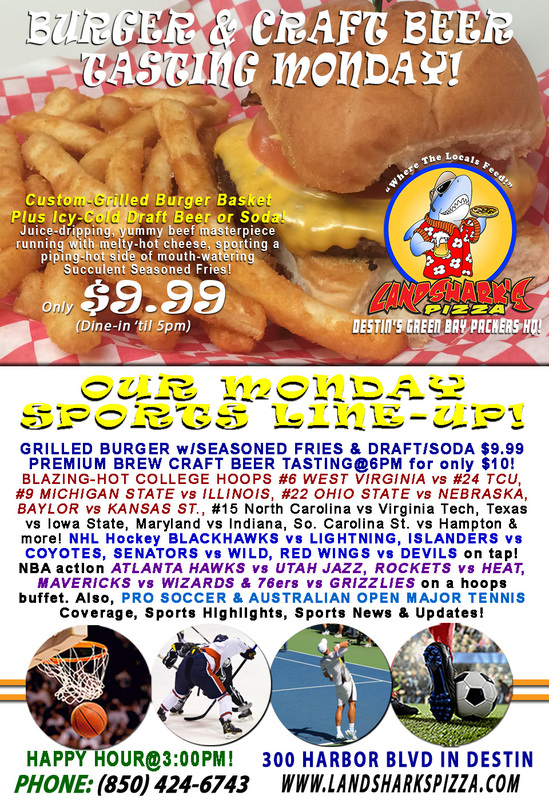 HOT SPORTS ON OUR ARMY OF BIG SCREENS – COLLEGE BASKETBALL with #1 VILLANOVA vs PROVIDENCE, #2 VIRGINIA vs #18 CLEMSON, #4 DUKE vs WAKE FOREST, #5 KANSAS vs #12 OKLAHOMA, Alabama vs Ole Miss, LSU vs Texas A&M, Mississippi State vs Kentucky, Wisconsin vs Iowa & LOTS more! NHL Hockey includes LIGHTNING vs PREDATORS, PANTHERS vs STARS, SABRES vs OILERS & RANGERS vs DUCKS on the pucking buffet! NBA Hoops includes WARRIORS vs KNICKS & LAKERS vs CELTICS! 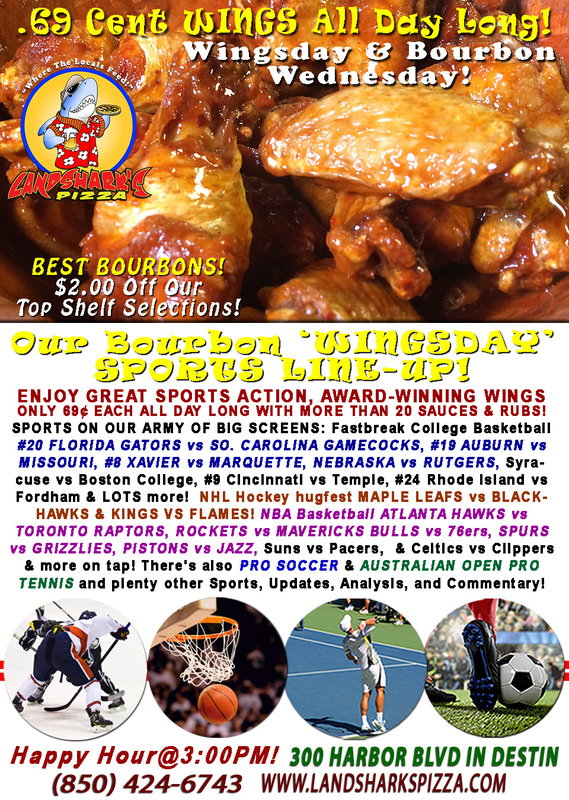 Plus PRO SOCCER & PRO TENNIS MAJOR (Australian Open) coverage and plenty other Sports Broadcasts, Updates, Analysis, and Commentary! 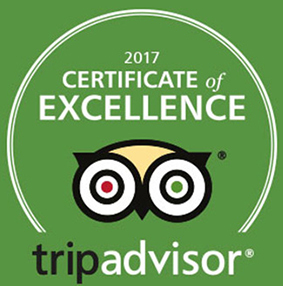 Previous Post: « Sizzling Burger & Brew Grubfest Monday Special with College Hoops OHIO STATE vs NEBRASKA|Premium Craft BEER TASTING@6PM!